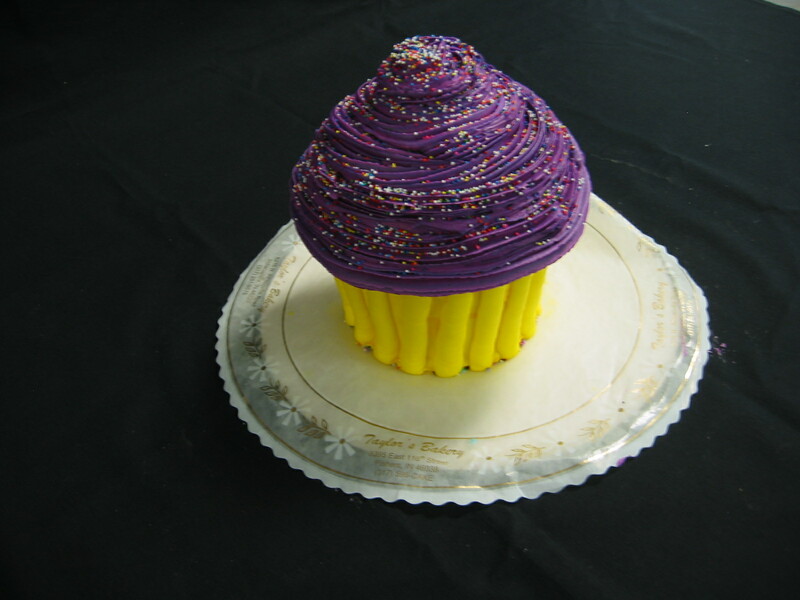 We have Giant Cupcakes that serve 16. 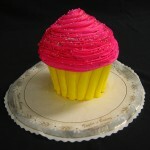 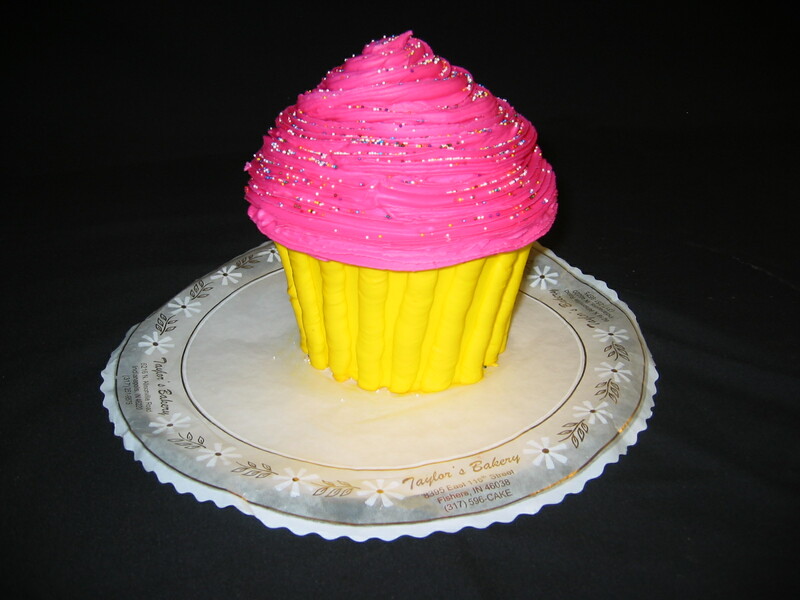 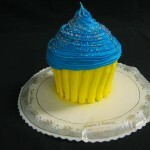 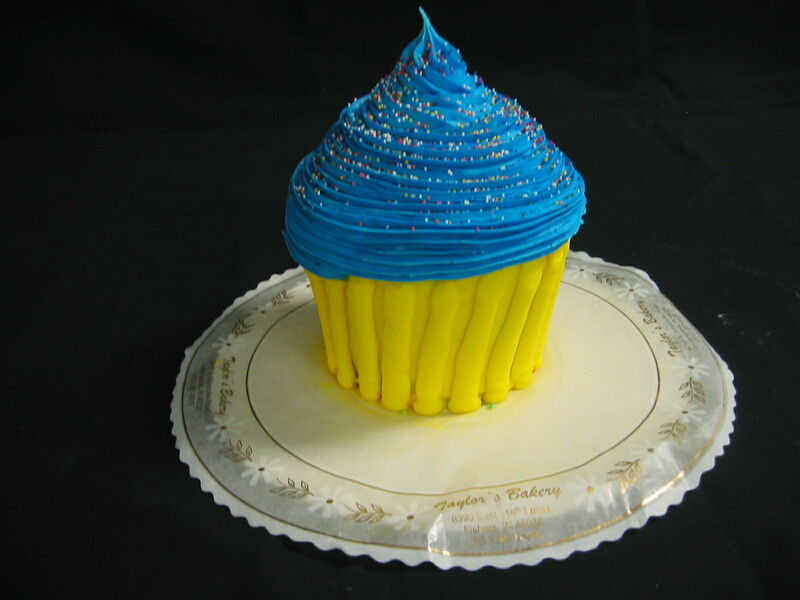 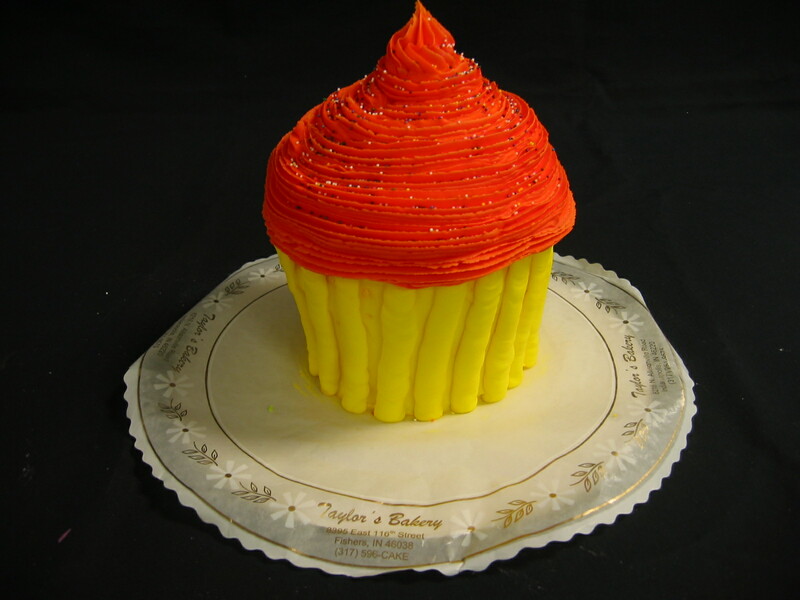 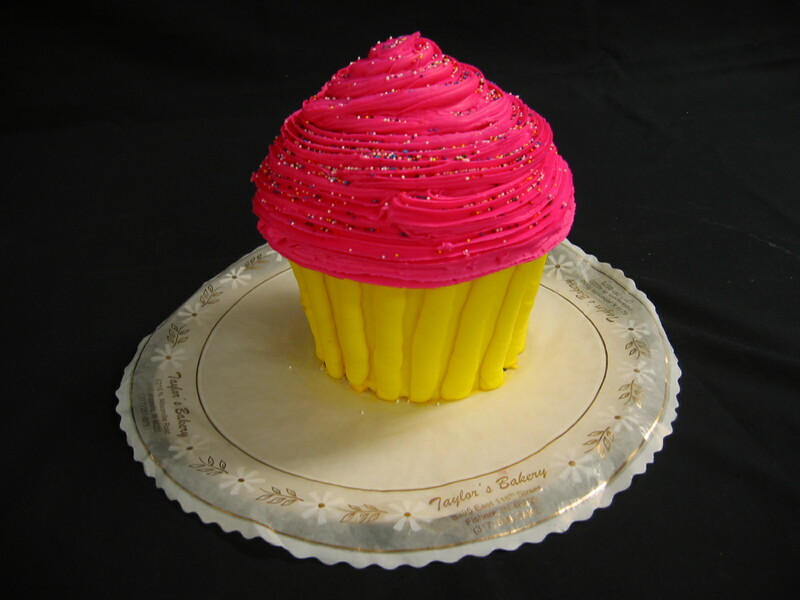 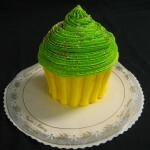 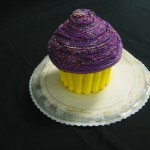 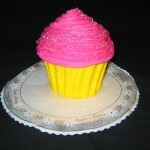 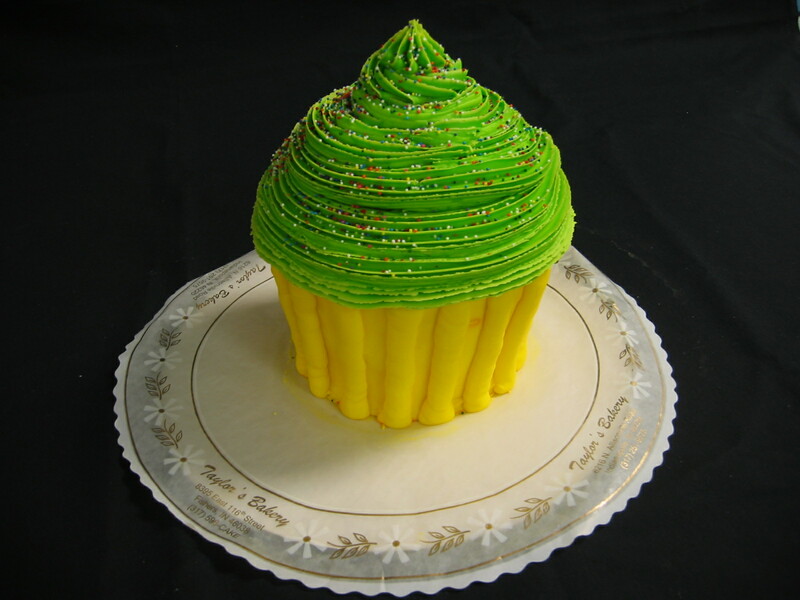 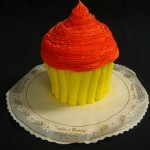 They are available in WHITE, YELLOW, or CHOCOLATE cake. 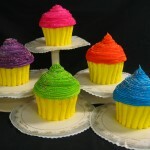 In addition to colors, we can also incorporate CHOCOLATE (brown color) and CARAMEL (light brown color) icings. 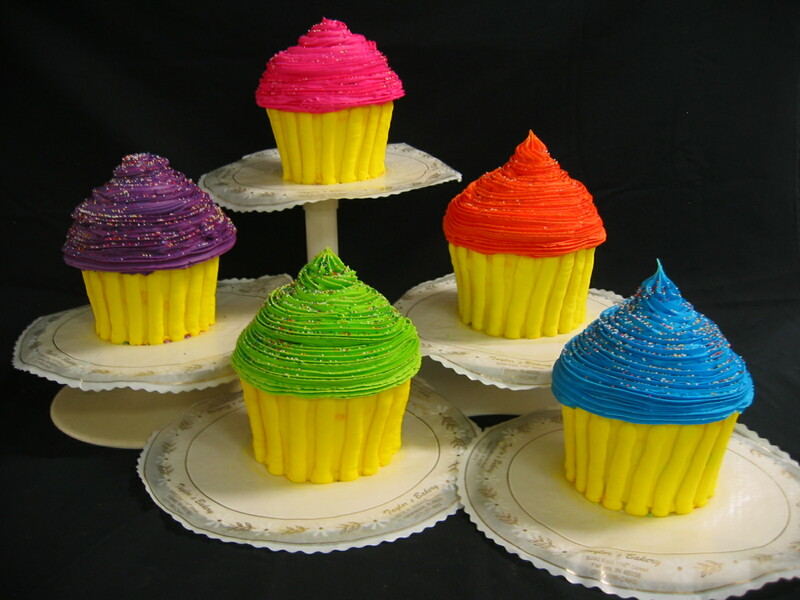 Make these the hit of your party!